This colorful salad is a great alternative to a traditional green salad and is full of lots of different flavors and textures that will be sure to keep you guessing! 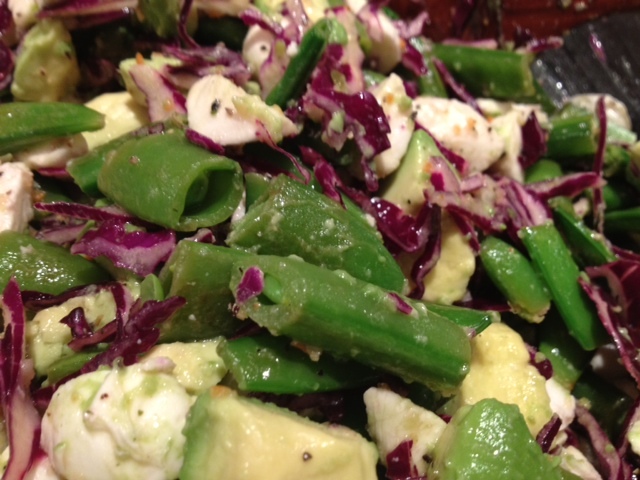 The snap peas and cabbage add a great crunch that pairs well with the softness of the avocado and mozzarella. Yum! Heat 1 tbsp of olive oil in a large pan on medium heat. 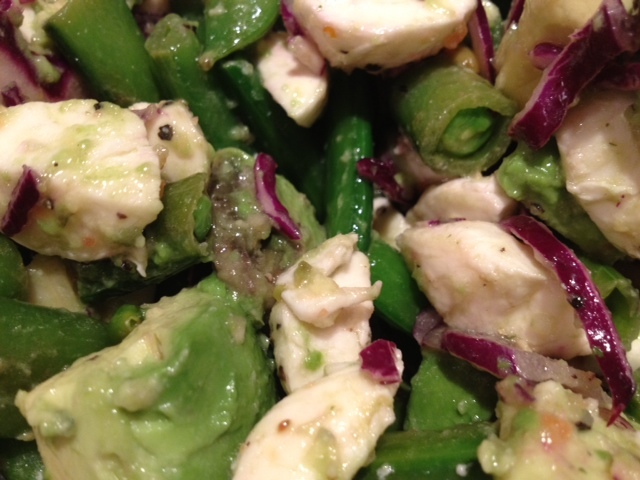 Add the snap peas and cook for about 15 minutes. Remove them from the pan and place them into a large bowl. 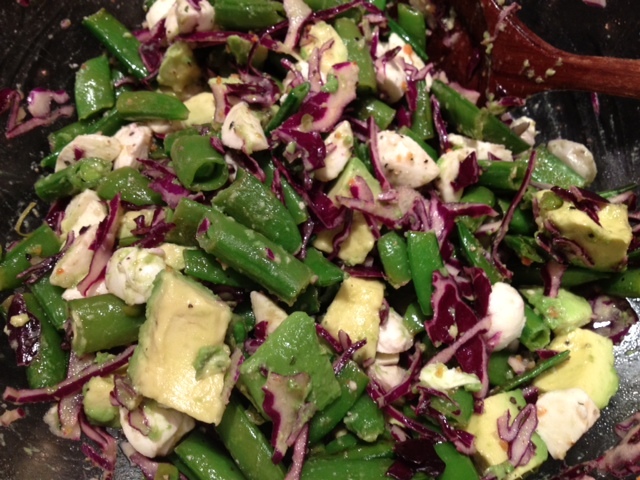 After the snap peas have cooled, add the purple cabbage, mozzarella and avocado. 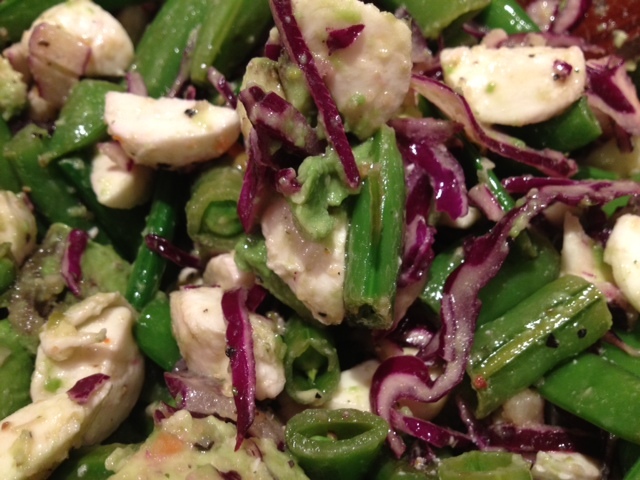 To dress the salad, add 1 tbsp olive oil and the juice from 2 lemons. Sprinkle a dash of salt, black pepper and Mrs. Dash and toss to combine.